Hello, and thanks for joining me today. My name is Martha Inchley and I am a 2017 Stampin’ Up! Artisan Design Team Member. I had the privilege to be a guest-blogger on Scrapbook & Cards Today and I thought I would share it here too. BUT... make sure to pop over there and leave a comment, for a chance to win the Iconic Christmas Bundle! Today I’m sharing the ever versatile, Stampin’ Up! Bundle: Iconic Christmas. This bundle is chock full of creative opportunities! It has large images, small images, colouring images (YES! you don’t even need to colour it in yourself) greetings and more! Not to mention the coordinating dies! One of my favourite things to create are cute little gift packages. 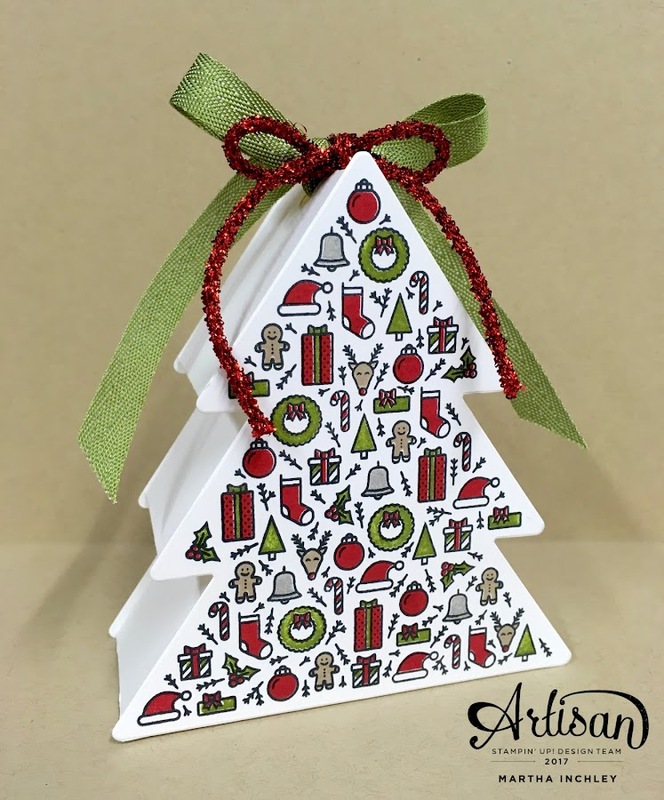 So when it came to this set, I couldn’t resist making an adorable tree box, using the Ornamental Christmas Framelits Dies and Thick Whisper White Cardstock. 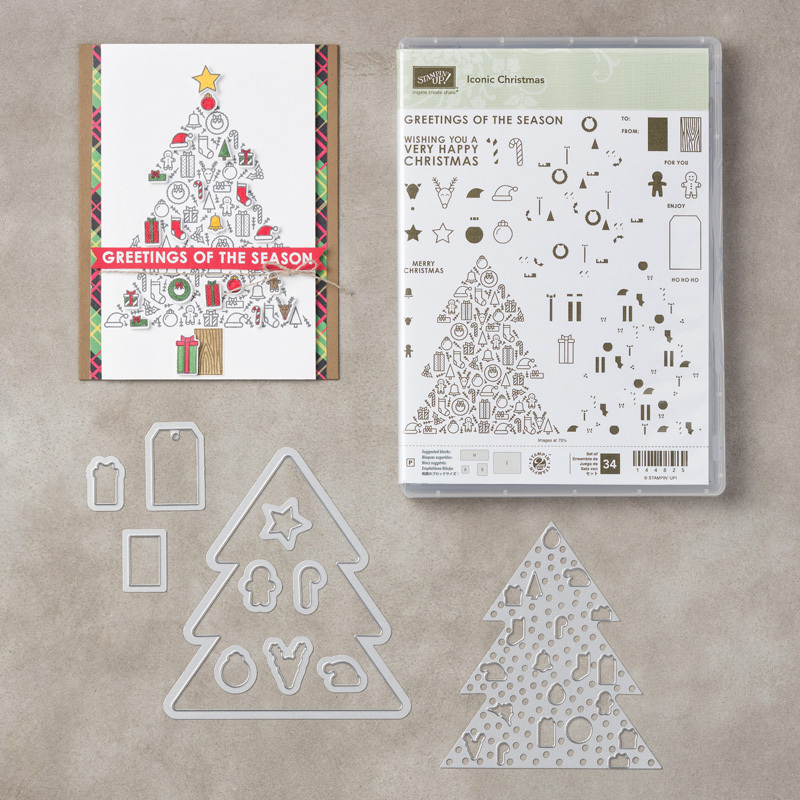 The tree is the perfect size to fit on the front of a card or make a 3D item with. Two sides of my box are the large tree cut outs, which I stamped in Basic Black Archival Stampin’ Pad and coloured in with the coordinating stamp using Real Red, Old Olive, Crumb Cake, and Smokey Slate ink. To close up my gift box, I used the Old Olive 3/8” Mini Chevron Ribbon and Mini Tinsel Trim. I love how it completes the look and eliminates the need for a star. Another thing I love about this set is the little Christmas Icon stamps with coordinating framelits. 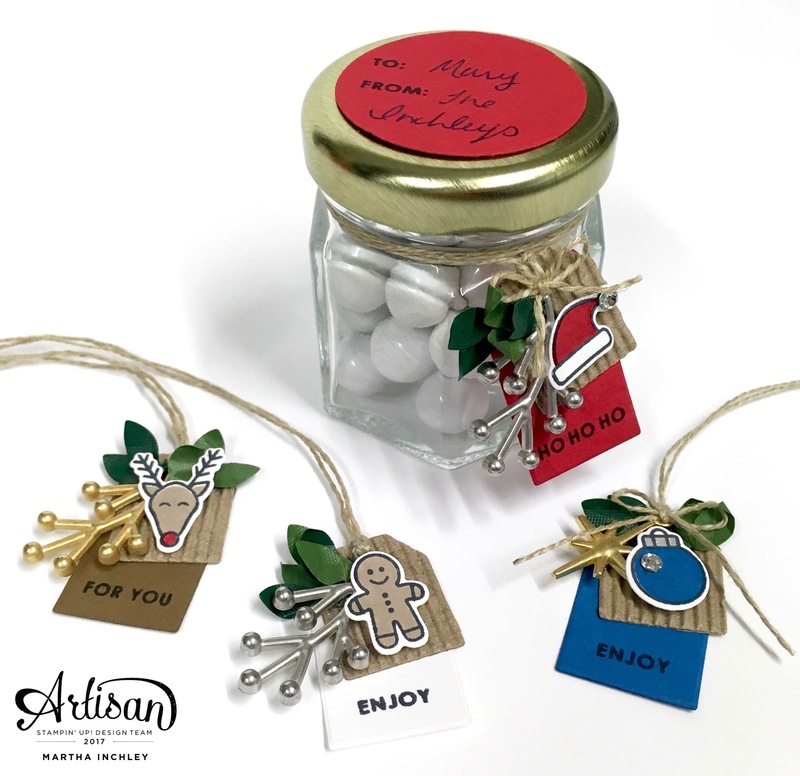 They are the perfect size to create adorable Christmas tags for all those Christmas treat packages. The bundle comes with a tag framelit and coordinating sentiments to make your tag making easy. To dress my tags up, I layered my tags with the Corrugated Elements, added the gold and silver Year of Cheer Embellishment and finished them off with snippets of leaves from the Boxwood Wreaths Embellishments and Linen Thread. 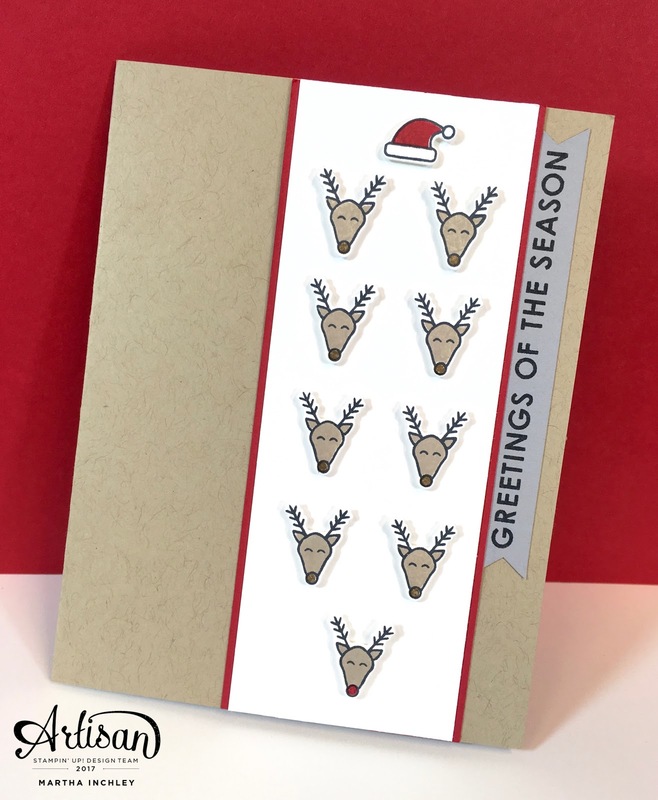 So not only are the Christmas Icons perfect for tags, but they are also perfect for embellishing other Christmas projects, including Christmas cards! 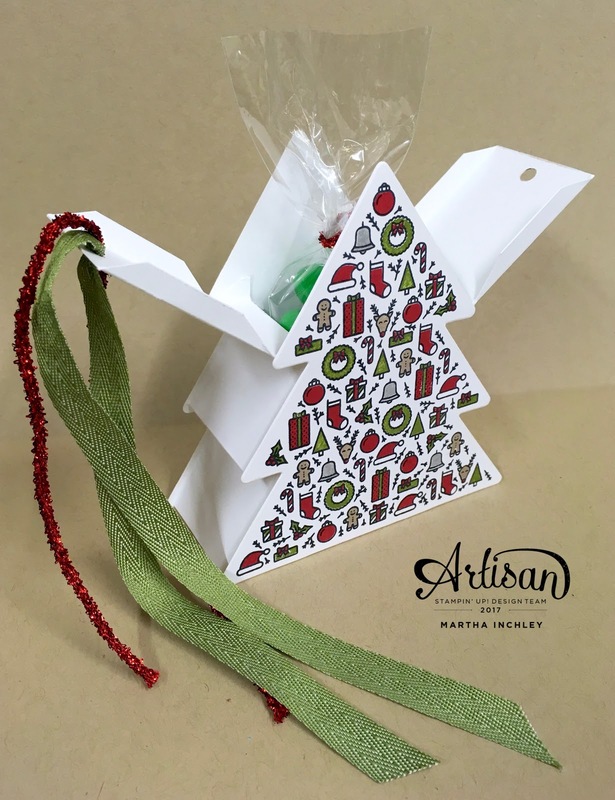 Whether you’re repetitive stamping or piecing and gluing, the little stamps in this bundle can be used for so many creative possibilities. Can you say “Santa and his Reindeers”? Ok, So now... hop over to the SCT blog post and leave a comment there for a chance to win the Iconic Christmas Bundle! I didn't buy this set, but now I wish I had. So.....Is there any chance you will share how to make the box that the trees are attached to? I think this is so great and would love to make some for our grand and great grands. Yes, please- how did you do the sides of the box :-)? Yes, please share how you made the box :-) ?